Estates can offer integrated management where farms often cannot. In the past, trees were planted and villages and schools built, said Francis Ogilvy. Today you can’t just do that – you have to work with the planning process – and some trust has been lost between communities and landowners. A lot of what we’ve done in terms of conservation and sustainability is simply common sense. For example, we had 800 acres of our own woods and needed to replace the old oil-fired boiler, so in 2000 we put in one of the UK’s first wood chip, biomass boilers. Our investments in a wind turbine and solar panels provide electricity for homes and power log cutting equipment for Winton Logs. Excess electricity goes back to the grid so it makes commercial sense. The woodlands that we’ve planted act as buffers round land where sand and gravel extraction is planned. The trees also contribute to carbon capture. In our farming operations, we seek to minimise fertiliser and chemical usage because it’s expensive, and the run-off from the soil can contaminate water supplies. Uncultivated wildlife margins have been set up alongside rivers and at field edges because this encourages the wildlife that we all love to see. It protects indicator species like bumble bees, partridges and kingfishers. Making lochs and wetlands also provides wildlife sanctuaries and interesting features. A network of paths called the Winton Walks was created for local walkers. Developing these 12 miles of trails took more than two years. We have ambitions to continue developing the estate and have engaged extensively with our local communities – neighbouring villages, community groups, politicians and public officials – for their feedback. Sand and gravel extraction is one proposal from this exercise; it has the potential to leave behind an exciting water resource – great for tourism and jobs. .
At Winton we want to see a thriving countryside. Our aim is to broaden appreciation of what it has to offer in an increasingly urbanised culture. In the process – we strive also to provide worthwhile rural employment. Friends farming in South Africa have left their mark with me looking to see how many people they could employ rather than how few. Winton plans holistically and sustainably for the very long term; the high level of investment dictates this! This blog is an extract from Francis Ogilvy’s talk at Winton Castle in East Lothian, given to an audience from the Bright Green Business Network (BGBN) and the local Chambers of Commerce on Tuesday 20th February. 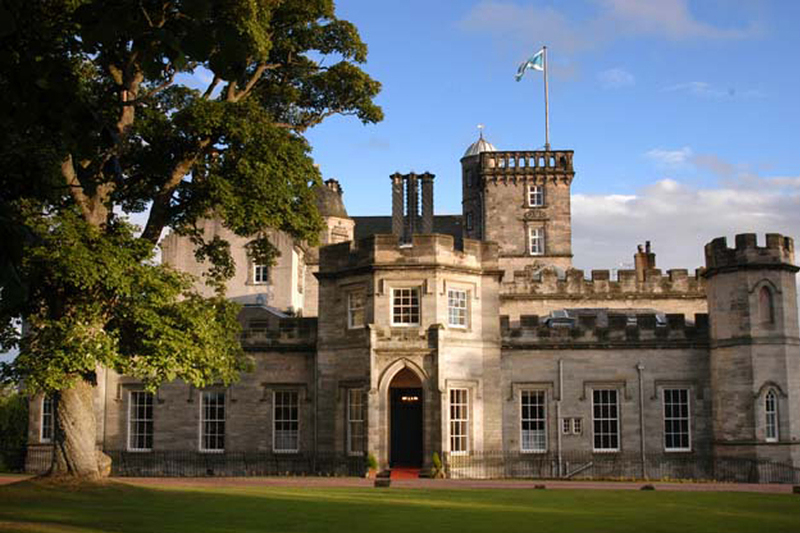 For more information on Winton Castle, please visit the website.